Unlike his first album of mostly original music, Tom Garling goes back to his roots of playing on jazz standards with exciting arrangements and a great cast of musicians to make up this sextet. After winning numerous awards in high school and at the Berklee College of Music, Tom went on the road with Buddy Rich in January of 1986 at the age of twenty. He was on Buddy's last touring band before he died in 1987. Buddy once said of him in a video taped interview in Stockholm: "Tom is going to have a very, very strong future in jazz". Tom went on to finish his studies at the University of Miami, where he received his Master's degree in Jazz Arranging and Composition. Afterward, he was immediately employed by U of M. to teach improvisation and ear training, direct Big Bands and coach small groups. In the meantime, he played with such greats as Frank Sinatra, Tony Bennet, Dizzy Gillespie, Chick Corea, Pat Metheny, and Randy Brecker, to name a few. Shortly thereafter, he toured with Maynard Ferguson's Big Bop Nouveau Band for 6 years, 4 of which he was musical director. Tom has played on numerous albums, including his own Debut album on Concord Records, called "Maynard Ferguson Presents Tom Garling." He has also appeared on three Maynard Ferguson albums, as well as Tito Puente's "Special Delivery", an album by Michael Feinstein and Maynard called "Big City Rhythm", and five Frank Mantooth albums. In addition to his accomplishments as a soloist, his talents as composer and arranger have been utilized by Maynard, Tito Puente, Liza Minelli, Michael Fienstein, Dianne Schuur, plus countless commissions from professional bands around the country. He also co-produced Maynards recent album called "Brass Attitude". Tom currently resides in the Chicago area, and is highly sought after around the world as a recording artist, composer and arranger, teacher, clinician and professional musician at any capacity. Chicago Jazz Ensemble "Kenton ala Russo"
Rob Partons Jazz Tech Big Band "Eleventh Hour"
I love it all; but of course I am prejudiced. Enjoyed the CD to the MAX! Having enjoyed Tom in concert at the end of a shared day with local high school musicians, I could hardly wait to get the CD. What a gifted musician who shares his talent and knowledge so generously! Very enjoyable, the entire recording! Very enjoyable, the entire recording! I especially like Tom's inspired playing on "Like Someone In Love!" Garling travels around the horn armed with a refreshing combination: honesty, hard work and love. Amazing...but what should I expect? Just a wonderful player... great changes, blowing and overall sound. Can't wait 'till the next! This was a very good CD. 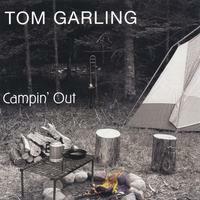 Tom Garling is a true virtuoso with the Trombone. I hope he does'nt wait so long between CD's. I am looking forward to the next one.